Looking for a USED MCV-2000? 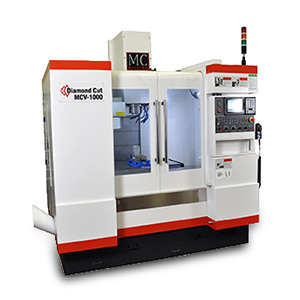 The MCV Series is the ultimate value machine, as a great general-purpose machining center featuring an 8,000-RPM spindle and CAT 40 tooling. The MCV performs well in a wide variety of applications, including but not limited to fixtures, mold bases and secondary operations. This machine can also include ZF Gearbox, giving it the ability to achieve four times the torque of a standard motor. 133 ModelsView more about MC Machinery Systems, Inc.